Thanks for sharing this. Every individual no matter how young or old must have a policy behind them or they will be dead before the next 4 years are over! My next post will be how Tom was sent home from the hospital to die and it could happen to anyone. You can have all the insurance in the world but once it’s been milked, you are out the door. Oh how terrible. You know I’ll be reading it. Oh, thank you for sharing this! I love it! It really pisses me off when people say they aren’t going to vote, because all politicians are the same, and nothing gets done. Hillary didn’t get the health care bill passed when she was First Lady, but she was committed to kids, and she got CHIP passed, It is still making a huge difference in the lives of millions of kids in millions of families. She didn’t have to work that hard. Let me rephrase that–Most people wouldn’t have worked that hard. They would have said that they tried, did their best, yada yada. That’s not in Hillary’s DNA. She doesn’t quit. She couldn’t get all that she wanted for families, so she decided to try to salvage something, and that something was CHIP, and it is so important. If you went to a Trumpelthinskin rally (please don’t, we love you and don’t want you beaten to a pulp or rendered permanently mind-boggled by the stupidity), the vast majority of the deplorables there would probably have or know children who have benefited from CHIP. Of course, they don’t want to hear that, because that wouldn’t fit with their view of Hillary as pure evil. Exactly! As First Lady she didn’t have to (although the Trumpettes would argue that she should not have). But she did exactly what you say. The Hillary Haters will find out what an awesome fighter she is for things that matter. Beyond moving. Thanks for posting this. When she talked about hearing her daughter call her Momma for the first time, it reminded me of the first time my son called me Mommy. He was about 2 1/2 and it happened because of his speech therapist. During therapy one day, I was talking with is speech therapist and she asked me what my son called me. I said, “He doesn’t.” He never referred to me at all. She spent that 45 minute session teaching him that I am called Mommy. He started to call me Monny. Several months later it finally became Mommy. Early intervention is key for so many issues. We were lucky to have pretty good insurance. But even so, it didn’t cover what our son really needed, working with 2 different therapies at the same time when he was 2 and 3. Oh what a story you have, too. I hope all is well with your son now. Early intervention makes a huge difference in so many lives. Hillary made an unknown difference in so very many lives. Please delete my first reply, as it got posted prematurely. Appreciate the thoughts, but it’s been a tough road and continues to have big challenges. Had to pull the kid out of school last winter because of panic attacks, and although he’s a bit better, it’s still a struggle. I did delete that first partial reply. It’s so easy to bump that little button. I’ve read a little bit about your challenges and your son’s. And I am in awe of the testament to a mother’s love that you show. A close friend of mine has an adult child who was diagnosed with schizophrenia, and she and the whole family has helped through a combination of traditional with holistic methods (http://rossaforbes.com/). You seem to be taking the same (non-traditional) path. I wish you and your son success and strength. Thanks. Having the tools of Reiki and energy healing certainly have helped. I’m glad you liked it. I was touched by it. As if we needed anymore reasons. Well, yeah. But some people do! I’m just leaving HRC HQ. some folks still need more. Those two (three) women belong in the basket of adorables. My gosh. So Hillary is involved in a vast conspiracy to make deaf children talk? How high will this evil woman stoop? She probably just wants more people to hear her speeches. 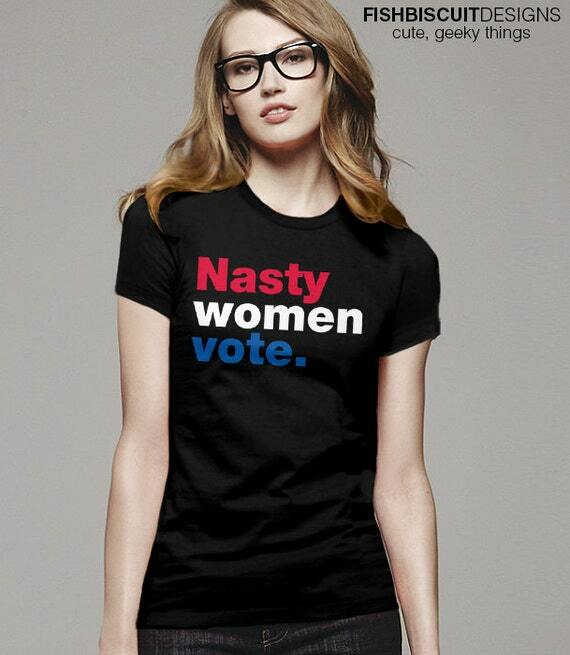 Such a nasty woman. But I like the cut of her gib. Sure glad I voted for her. Thank you for sharing this. A very powerful statement. Glad you liked it; I thought so too.